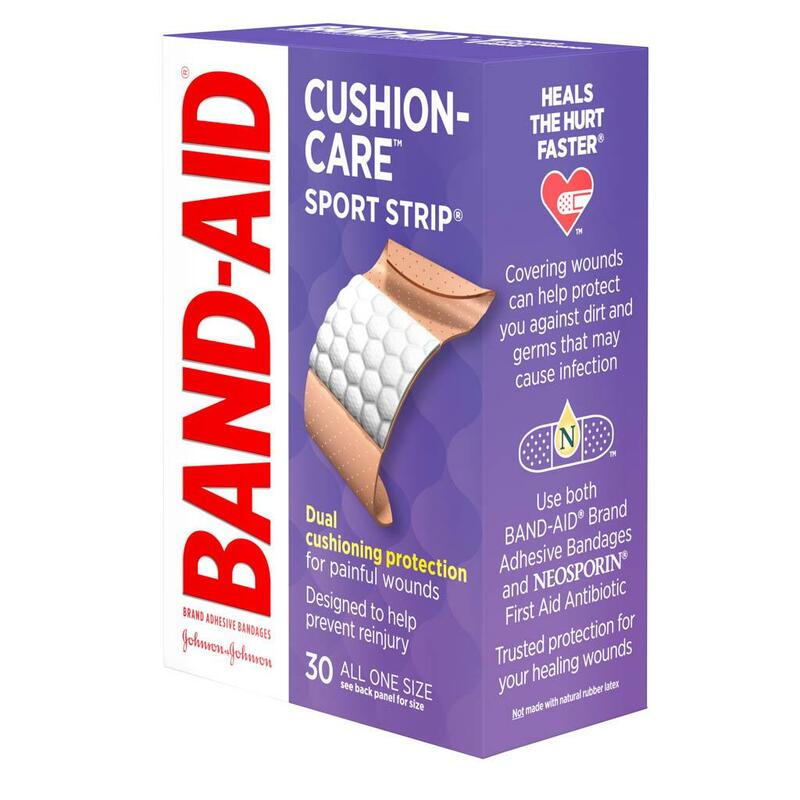 BAND-AID® Brand CUSHION-CARE™ SPORT STRIP® Adhesive Bandages cover and protect minor wounds. These sterile bandages provide cushioned foam protection that moves with you to protect even when you're active. 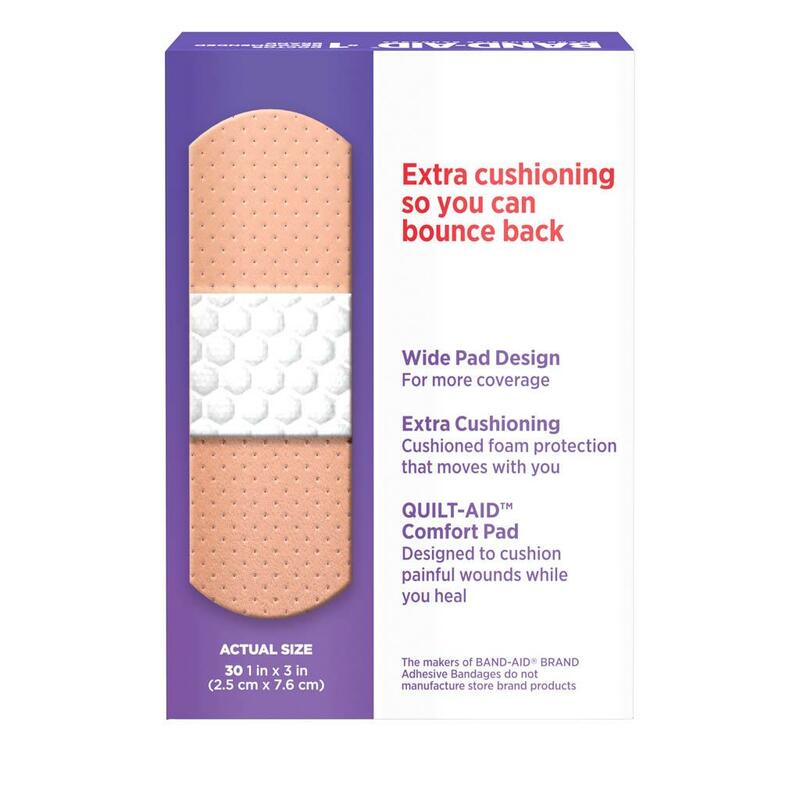 This sports bandage is made with a full-width QUILT-AID® Comfort Pad that is designed to cushion painful wounds while you heal. 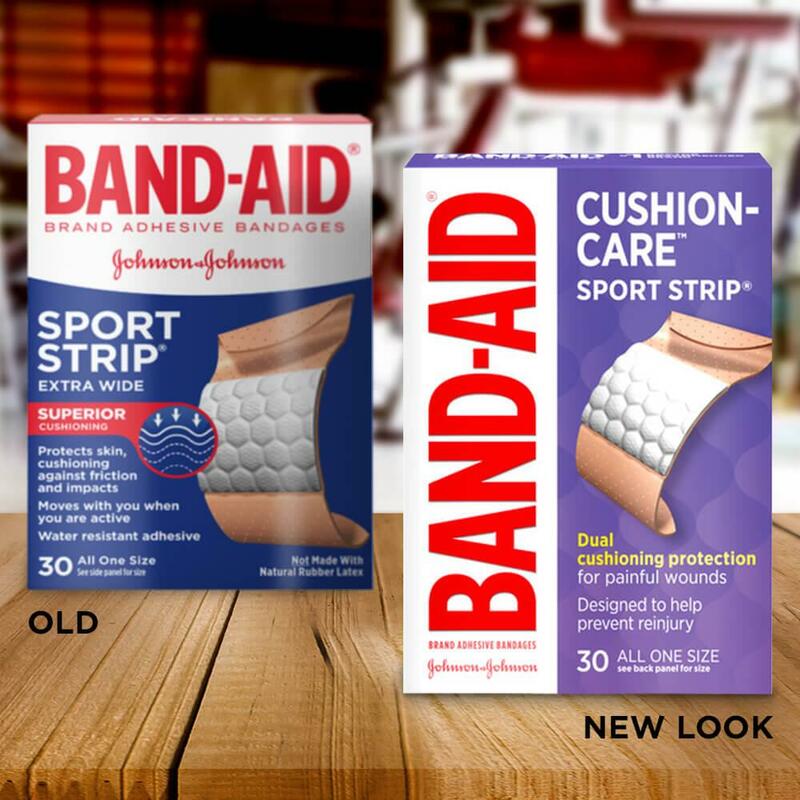 BAND-AID® Brand CUSHION-CARE™ SPORT STRIP® active bandages are made with a water-resistant adhesive that keeps bandage in place even when wet. This package contains 30 flexible bandages with a wide pad design. Sport Strip Extra Wide Bandages Tears easily, they do not stick well (especially after getting wet), and when removing the band-aid, it tears into bits and pieces and leaves adhesive stuck to your skin. Causes damage to sensitive skin when trying to remove. This was not an update to a formally great product. We're terribly sorry that you are not pleased with our product. We'd like to learn more about this experience. Please give us a call at 1-866-565-2873 M-F between the hours of 9A-5:30P ET. Thank you and have a great day! The greatest bandage of all time is no more!! Bring back the Sporr Strips! They were awesome! Stayed on for days and worked great! Why get rid of something so awesome! You cats are crazy!!! Mommy doesn’t believe that these bandaids hurt. Why do you keep using them mommy? They break into pieces when you try to take them off. No, mommy don’t get the alcohol again to remove the remaining pieces and residue, it hurts so much! I know it’s the only way, but it hurts my boo boos so much. Why doesn’t mommy put them on herself to feel the pain. The manufacturers should try as well. Thanks for sharing your feedback with us! 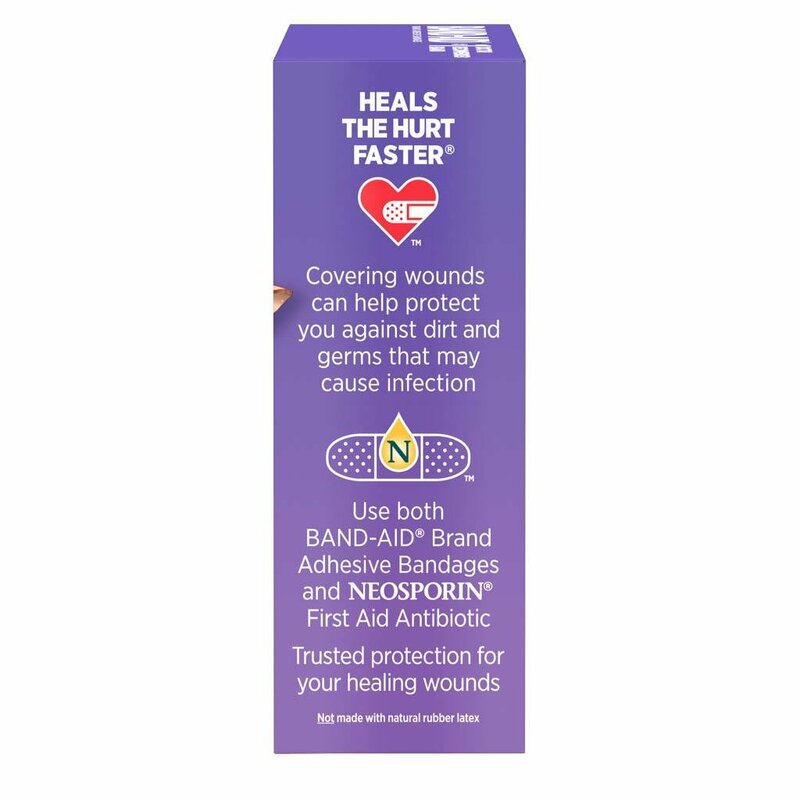 We'd love to hear more about how our bandages break when removing them and how they hurt your skin. When you get a chance, give us a call at 1-866-565-2873. We're here Monday-Friday from 9am-5:30pm EST. We hope to hear from you soon! Sorry to say this product's adhesive caused a rash and when the bandage was removed it removed my skin too. I am left with a wound in the shape of the adhesive strips that has been more painful than the original wound the bandage was covering.&#10;&#10;Normally, Band-Aid is a great brand, but this particular version with the strange pink colored strips, has been a terrible experience.&#10;&#10;Buyer be aware...and beware. Hi there! We’re so sorry to hear about your experience with our Sport Strip Extra Wide Bandages and we’d appreciate the opportunity to gather a few more details and see what we can do to help. When you have a moment, please give us a call at 1-888-222-0182 between the hours of 9:00 AM – 5:30 PM ET, Monday – Friday. We hope to hear back soon! The old Sport Strips were an excellent product. You could actually perform physical tasks and they held up and stayed on. The new ones have to win the award for the quickest a company has ruined one of its products. The pad does not offer as much protection. The foam does not cushion like the old ones. The foam tears amazingly easy. The adhesive doesn't stick to the outside of the foam yet makes sure that the little pieces that tear off are difficult to remove from your skin. I am wondering if I need to wrap the bandage with electrical tape to keep it from falling apart and falling off. With the old Sport Strips I never looked at price because whatever they cost it was worth it. With the new ones even if they were free I don't think they would be worth it. Thanks for sharing your feedback! We're sorry to hear about your experience with our SPORT STRIP® bandages. We'd expect our products to stay on when you need them most and be easy to remove. Please give us a call at 1-866-565-2873 so we can help make this right. We're available Monday through Friday from 9am-5:30pm EST. We look forward to hearing from you soon! New changes in product are HORRIBLE! Please bring back the old sports strips! These used to stay on through golf and other sports in humid weather and washing, and they provided a thick barrier and reliable protection. Now they come off easily and are flimsy and thin. To me, they used to be the best bandage on the market. Now they are no better than the cheapest brand. 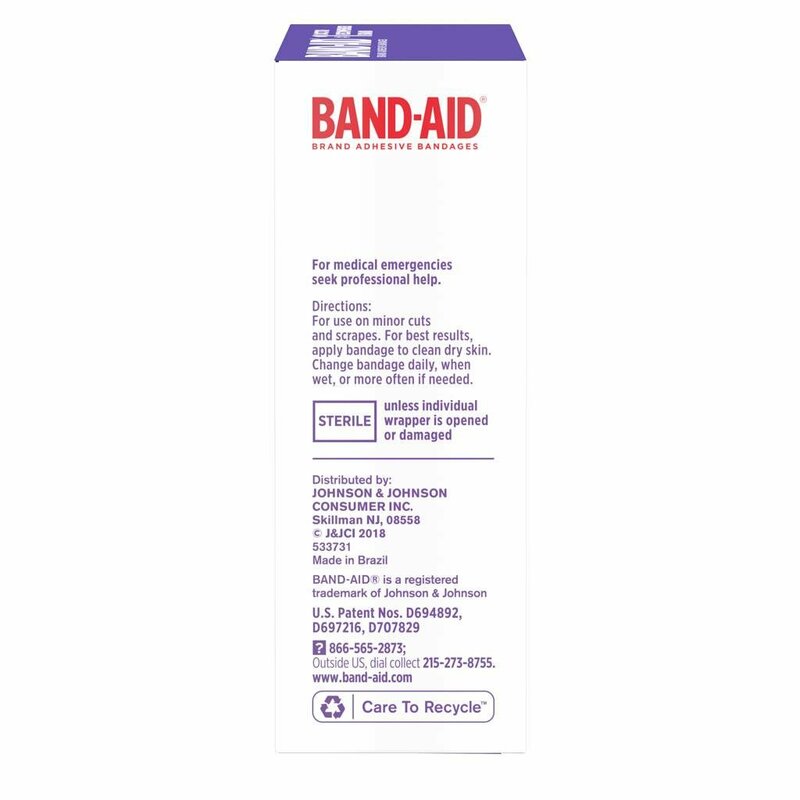 It is discouraging that a reputable company like Bandaid would surrender customer satisfaction to the bottom line (i.e., profit)! We're sorry to hear that these aren't working well for you. We'd love to hear more about what you think of them, so give us a call at 1-866-565-2873 anytime between 9AM and 5:30PM ET Monday through Friday. Hope to hear from you soon!